Selling Restaurants presents this fantastic restaurant offered at a great price. You're going to feel guilty stealing this restaurant at this price! This is a must see! 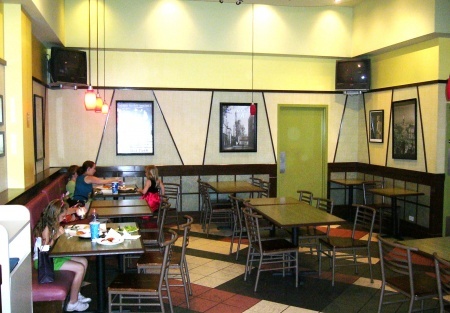 This fantastic Italian Caf� with pizza, pasta, and an assortment of menu items presents itself well and offers plenty of seating. It has been well maintained and offers great potential. It is situated within a high foot traffic area especially during the weekends. It was established in 2001 and has been absentee owner operated since. The real potential here is with an owner operator who can manage the consistency of customer service, increase sales by up-selling, and manage the operating expenses. Annual sales at one time topped out at just over $400,000 with the owner absentee. Imagine the annual sales potential if you are a working owner. The Cost of Goods Sold was 39% and Payroll Cost was 37% of the 2007 annual sales compared to industry standards of 28% and 25% respectively. Both Operating expenses are far too high for industry standards. This is an area a working owner will be able to manage and increase the net cash flow. The restaurant is appointed with a nice assortment of fixtures and equipment within the kitchen includes a two bay pizza oven, many refrigerated and heated prep tables along with a variety of other equipment items which are all included in the purchase price. The kitchen is open to the customers for food preparation viewing and the dining area comfortable seats 49. A Beer and Wine license would most likely be approved by the city and would surely increase future sales. The new owner will be responsible for applying for the new Beer and Wine license if desired. Take the next step and select one of the bright orange buttons below the listing. Then select the "New registration" Button. When you register, you get the name and address right on-line - no paper or faxes - you'll also get priority notification of our new listings in the future, prior to the general public, giving you the best chance to �scoop in� the best opportunities. There are also more photos available to our registered buyers. Fantastic Opportunity! Steal of a price! ALL EQUIPMENT SOLD AS IS!